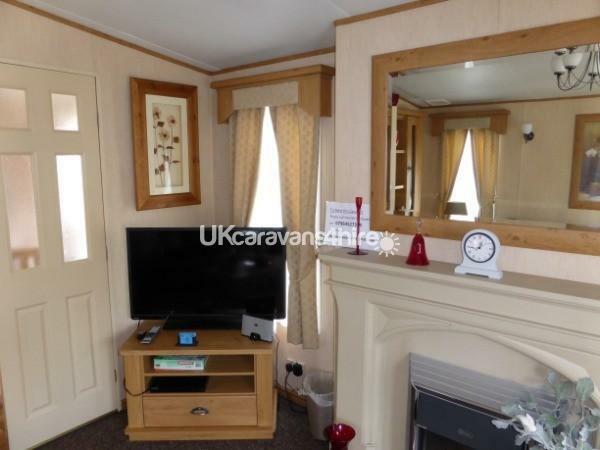 A £50 deposit is required when booking the caravan. The full outstanding amount is required 4 weeks before your stay. Please note the price does not include guest passes to the park which can be purchased at the site office. IN LINE WITH PARK RULES WE DO NOT ALLOW GROUPS OF YOUNG PEOPLE, HEN OR STAG PARTIES. SOMEONE OVER THE AGE OF 21 MUST ACCEPT RESPONSIBILITY FOR THE GROUP. ALL OF THE PARK RULES MUST BE ADHERED TO. 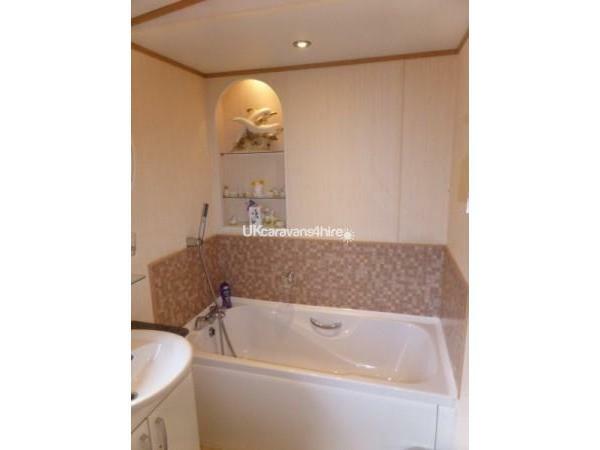 Six berth holiday caravan for hire at Tattershall Lakes Country Park, Lincolnshire. 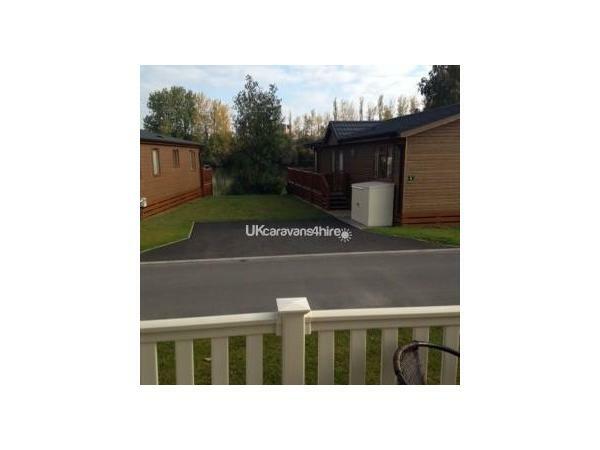 Tattershall Lakes Country Park is one of the best holiday parks in Lincolnshire, located about 30 miles inland from Skegness and Mablethorpe, the park is an ideal base for the perfect seaside holiday. The park offers a swimming pool, spa, a new sports court, gym, bars and a family diner, lakes that are set aside for waterskiing, wakeboarding, jetskiing, angling, and fishing lakes as well as a full 9 hole golf course there is certainly something for everyone. 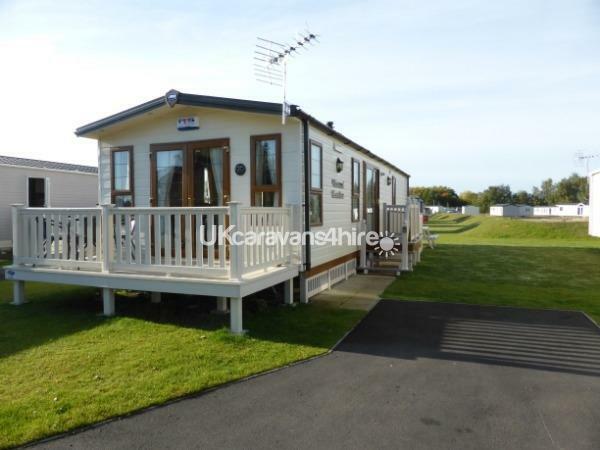 Our 6 berth holiday caravan offers 1 king size bedroom, 1 double bedroom with 2 single beds and 1 bed settee in the lounge which opens out into a double bed. 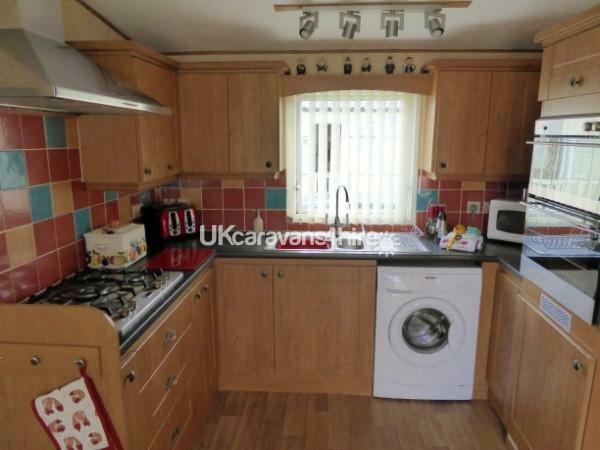 A fully equipped kitchen. 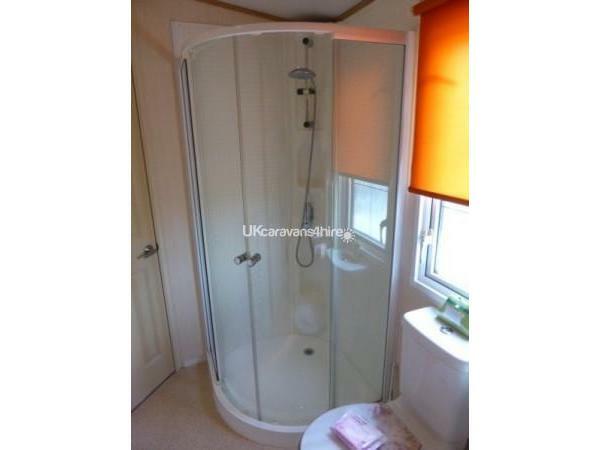 There is a large bathroom with a toilet, shower and a bath. The caravan has a washing machine, iron, medium dog cage and a hairdryer. 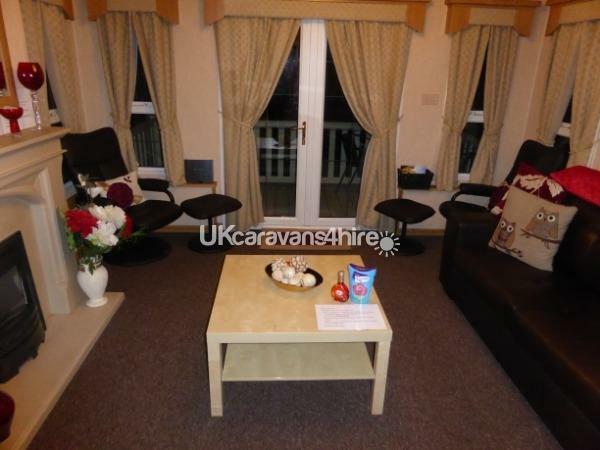 There is a 40 inch TV, DVD player and a docking station in the sitting room and 1 small TV in the double bedroom. Towels and bedding are supplied. 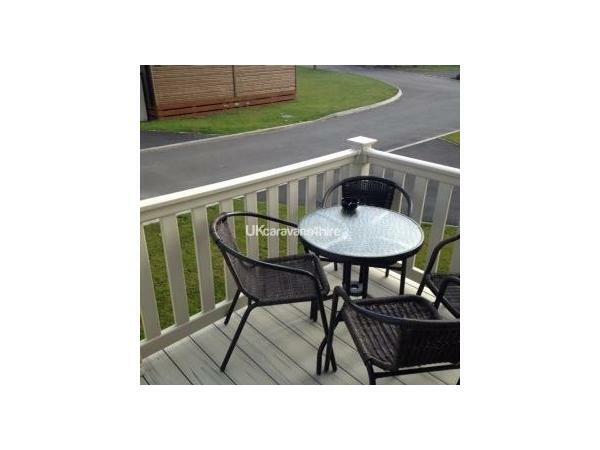 It is a no smoking caravan, however there is a decking area outside with seating which can be used as a smoking area if desired. 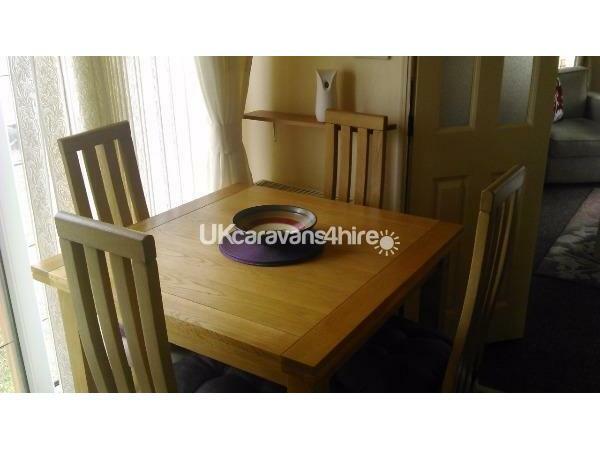 There is also an outside picnic seating area to the side of the caravan. There is a outside secure storage unit at the side of the caravan which can be used to store bikes and fishing equipment etc. The caravan has a small outside barbecue (kept in the storage unit), which you will need to supply your own coal for, if desired. 1 small dog is allowed in the caravan. Thank you very much for wonderful review. I try my hardest for every customer. 10 out of 10,This was a really beautiful caravan( more like being in a bungalow).the kitchen was so well equipped,there was everything you could need.The bathroom had a full size bath as well as a large shower.The large double bed was very comfy and it had a walk in wardrobe ,and lots of storage space.The lounge was lovely and had a decent size TV.Lots of extras were supplied by the owner,i.e. Toiletries,towels,tea towels,toilet rolls, tissues,sealed in toothbrushes,toothpaste,sweets,wine,the list goes on.Hence the 10out of 10.I have stayed in numerous caravans but never one like this.Well done Lorraine. Wonderful customers left everywhere amazing. Thank you so much as it all helps.